I love to shop, it's no secret that I enjoy shopping for my children but I also love a good deal just like everyone else! As a single mom it's important that I shop sales, use coupons and make sure I'm getting the best deals whenever I can! I'm also a very busy parent, I don't have hours to spend clipping and organizing paper coupons out of the newspaper, just to lose them or forget about them days later. Not only does that sound like a lot of work, who has the extra time for that? I sure don't and I'm so thankful one of my favorite stores now uses digital coupons - it makes my shopping trips a breeze! Family Dollar® Stores offers the brands we all know and love with prices that are easier on your budget. 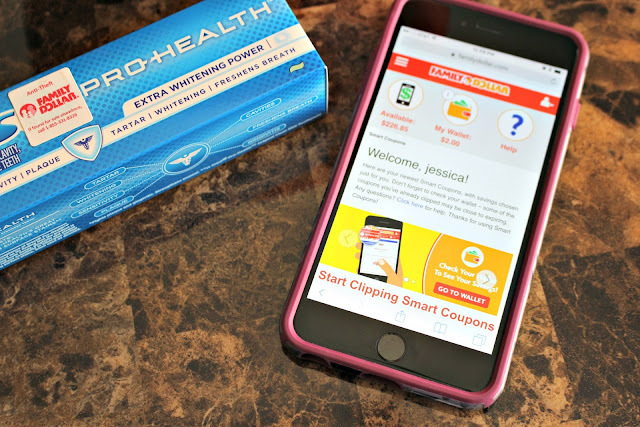 I visit Family Dollar® at-least once a week, I love clipping their new Smart Coupons, every penny counts when your a single parent! 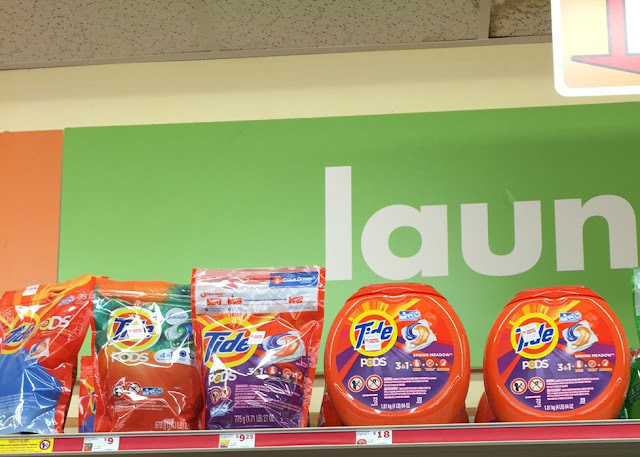 The savings quickly add up and I love that I'm saving money on everyday items, Family Dollar® makes it so simple and easy! Purchase items that are on sale. (Hint - look for the sale sign by the actual product). Only buy items that you know you are going to use and but don't buy too much of one thing. (Hint - just because your favorite peanut butter is on sale doesn't mean you need to buy six jars of it.). Have a grocery list or plan in place and stick to it. (Hint - don't grocery shop when you are starving, you'll tend to buy more than what you went for). Buy a store brand product vs a name brand product. Do you want to save even more? It's easy to register with Family Dollar®! Simply sign up here, you'll need to enter your name, create a password, provide an email address and your phone number and then you are all set! Once you have signed up for Smart Coupons at Family Dollar®, you simply log in and start clipping! Family Dollar® will provide their newest Smart Coupons for your to clip, simply click on the coupons you want from your PC, tablet or phone. They will then be added to your wallet, in your wallet you can see all of your clipped coupons, when they are expiring and how much money you will be saving! You can even receive emails with more savings on your favorite brands! Within minutes I had my entire shopping list clipped and ready to go, once your done shopping in store, simply enter your phone number at check out and watch the savings add up! Smart Coupons is so easy to use, there are even visible signs through out the store to let you know which products offer Smart Coupons and how much you can be saving. I love that I have digital coupons right at my finger tips anytime and anywhere! Smart Coupons at Family Dollar® has really changed the way I shop and I love it! On my way to pick up my children from school the other day I needed to run in and get a few things at Family Dollar® and guess what, just from the parking lot to the front door I had already found coupons for what I needed! 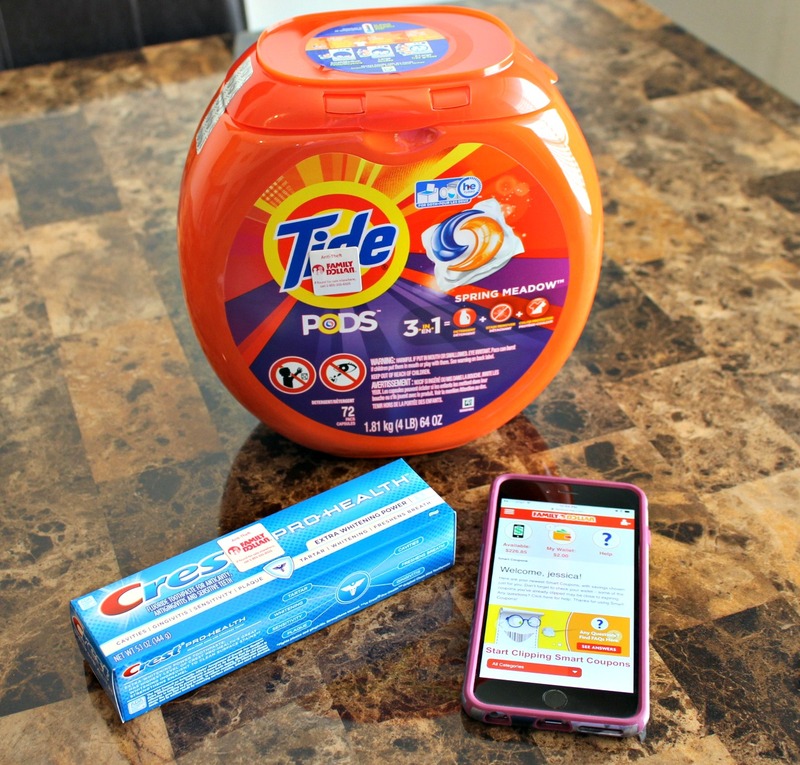 I picked up Crest Toothpaste and Tide Pods, two pretty regular items on my shopping list, I was in and out in under 10 minutes and had saved $2.50 on just one shopping trip by using Smart Coupons! Save $2.00 on ONE Tide Pods or Gain Flings (excludes Tide Simply and Gain Flings/Tide Pods 5 ct and trial/travel size). Do you use coupons? How do you feel about digital coupons? 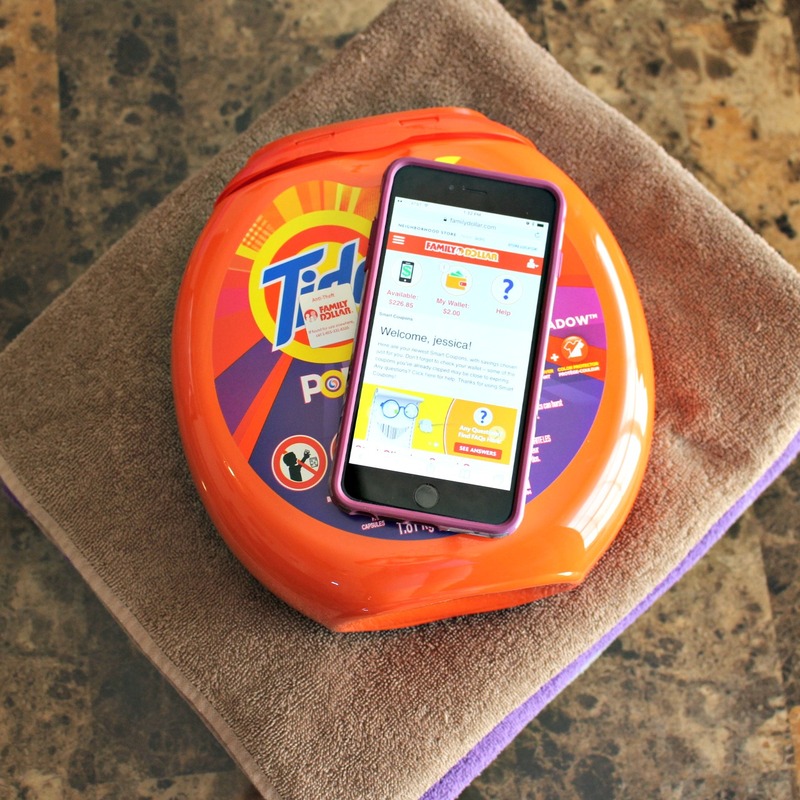 Be sure to stay connected with Family Dollar® on Facebook and Twitter and I can't wait to see how much you'll save with Smart Coupons!